Room temperature can affect your productivity. So, an ideal temperature can contribute to higher productivity. However, how to determine the ideal temperature? It can vary from person to person. Various studies show that temperature of 25 degrees Celsius or above can reduce productivity. Therefore, some offices set temperature below 22.8 degree Celsius. Appropriate temperature is also essential to prevent computers and servers from overheating. But, if the temperature is too low, it can shorten the lifespan of the aircon. The temperature in Singapore is hot most of the time. But, most residents fail to service their air cons on time. This is the best and simplest way to keep the machine in the best shape and avoid extra energy consumption. Tired compressors and clogged filters will make the entire system work harder to do the same job. If you do not get enough cold air in a room, obstructions should be removed before setting the air conditioner. The size of air conditioner must be right for all rooms, which is essential to avoid under-working or over-working a unit. It is not good to use one Air con for the whole house. You should select one as per the thermostat because most units use same energy regardless of the size of the room. Automatic air conditioners are the most energy efficient devices because they can meet the changing needs of different times. Purchasing the right air conditioner for your residence in Singapore is essential for finding the best temperature. Many experts advice homeowners to leave the slightest difference between interior and exterior temperature for less energy consumption. Conditions in Singapore are mostly hot and people prefer to spend lots of time on air con units. Air cons are highly convenient devices, especially during the time of high temperature. When it is cold, you can protect yourself by wearing as many warm clothes as possible. But, when temperature becomes unbearably high, you cannot do so much and removal of clothes has some limitations. A good air conditioning system is essential to keep the air cool in your home and office. However, most people do not know how to use an air conditioner. Dry mode is different from cool mode. But, to some extent, you may not see any difference between both these terms. However, both of them are different. The dry mode is not a common feature of all air cons. It will be available in some varieties of window units and central air conditioning. Reducing humidity in a room is the major function of a dry mode. If the humidity in a room is high, it can increase the temperature. Dry mode can reduce the temperature in a room by reducing humidity. This function is highly effective during the time of humid season. During the rainy season, the temperature may not be hot enough to necessitate the need for cold air. However, the humidity may be high and irritating. So, dry mode is meant for removing all moisture in the room. A temperature setting of below 25 degree Celsius or more is enough for making most homes cool and remove humidity. Most people in Singapore set the temperature between 20-22 degrees and sleep under thick cover. This is wastage of energy. You can save more than 15 percent and reduce the production of carbon dioxide if you set the temperature to natural room temperature. Using evaporative coolers in high floor flats is essential for spraying a fine mist into the air. However, air humidity is very high in Singapore, so it may not be practical. Some people do not use fans and complain that their air con system is not adequate to do the job. Fans help to reduce the temperature faster and to blow cold air to the other areas of house. If you use fan, you will feel few degrees colder. You can avoid overworking of air con if you are able to maintain an appropriate temperature. If you are planning to purchase an air con unit, you must be aware of the device, which is suitable for your home. The spaces of some apartments in Singapore are very less. So, a small cooling unit is enough for cooling such homes. You need not purchase big units for small homes. There is no need to waste money if a window type is enough for cooling your rooms. Some people have the habit of turning on the air con soon after they reach their home. They also set the temperature very low to cool the surroundings. Your machine needs to work hard to cool your room in such situations. You should reduce the temperature slowly, which is the right way protect the machine. 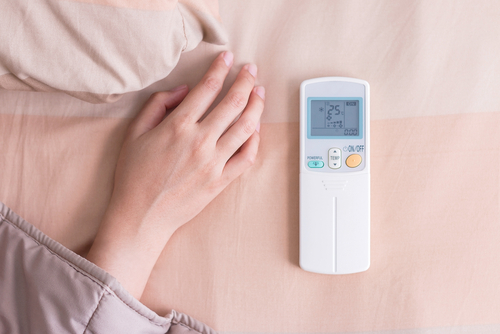 If you have thermostat-operated AC unit, you can program to cool your home before you reach your home. Your air con unit operates on sensors to attain temperature, so you have to adjust it. If the unit is placed near the window, directly within sun rays or near heat sources, it will detect the highest hot temperature at first and it uses more energy to cool the atmosphere. So, you should place the air con in a comfortable place. Some owners forget to clean and maintain aircon filters regularly. Your air con must be serviced annually by professional technicians. Clean filter is essential to run the device more efficiently. Regular maintenance is essential to avoid lots of problems that can cause you huge money to repair. Singapore is a very nice country and the environment is clean. But, it can be literally sweat because of the humid and hot weather the country experience most of the year. So, you must set the temperature rightly to get comfort in indoors. Air conditioners save your life from hot and humid temperature in Singapore. It is very difficult to stay indoors if the temperature is not comfortable. Setting the temperature around 24-25 degree Celsius is helpful for reducing electricity bill and stay comfortable at indoors. This is also helpful for reducing the production of carbon dioxide.